Fallen silver thin lines encircle a circle, three-dimensionally piercing the ears, adding whims You can immediately see three different levels and three different colors when you wear them. The same circular design shows different personalities from beginning to end Copper retro ball gives the overall design a metallic backdrop Bai Run's pearl makes a lovely connection in the middle There is also a thick circle made of clay, with a three-dimensional pattern in the inside. 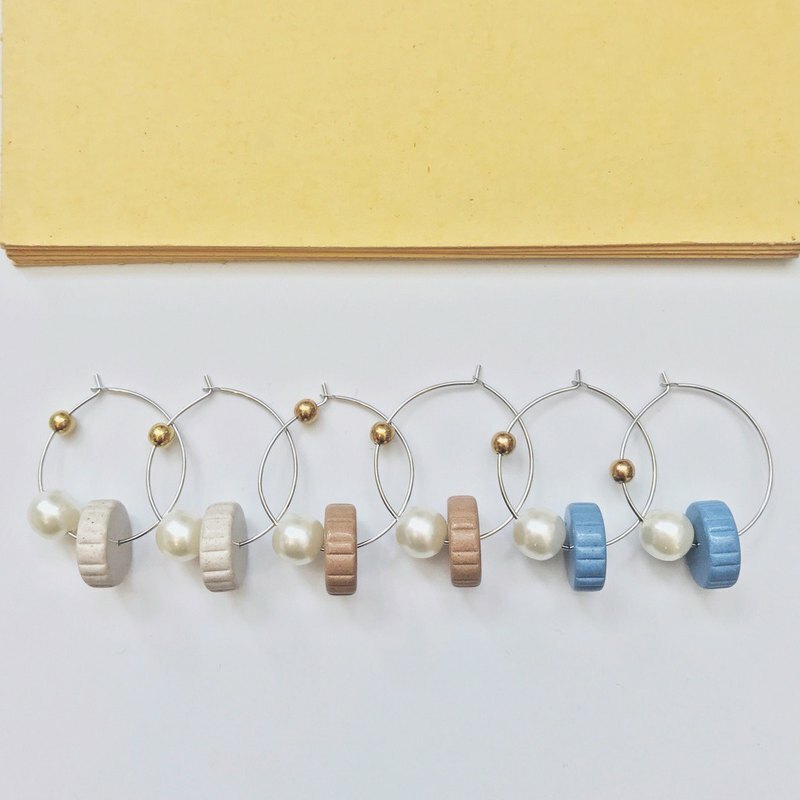 A simple round earring, but there are many details The choice of two colors is very real The level and rhythm of the use of materials is the dominant method of Marygo. The choice of material is considered to be comfortable to wear, so even if it looks like a lively style, it is unexpectedly light and comfortable to wear. [Trinkets] Walking around from the West, I took all the materials I found. I made them by hand. I only have two ears, so I share them with my ears. The material is limited, many of them are found in old and new stores without any cabinets. Some of them can only be a pair of ones. They can hold you right to the eye.